Ready to reuse the structure of a former course site or looking to restructure your course, project, or club site? In this workshop, we will guide you through the course cloning process and help you rethink the organization of your site for enhanced use and better interaction with your students, colleagues, or peers. 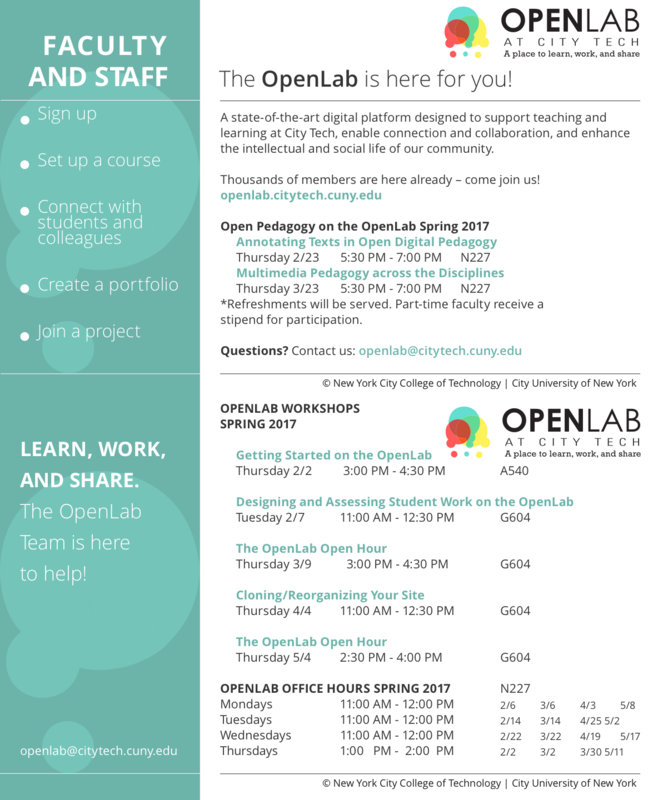 OpenLab experience required.